Have you ever seen a mermaid? Do you know someone who has? Do you have a family legend or terrifying (or delightful tale) that involves a sea creature, a mermaid, or a magical creature relative to the mermaid? Or perhaps you know a real-life mermaid and/or you can hold your breath for a really long time under water? If any of these questions have sparked your imagination or memories send them to me at varlaventura@gmail.com and I may include them in my next book. Note: I am NOT looking for lengthy fiction submissions. This is a collection of facts and folklore, so your great grandmother’s Irish tale is a yes, but your own romantic short-story is a no. I’d love actual encounters with the merfolk–I know they are out there!!! This includes your first-hand account of the giant squid! 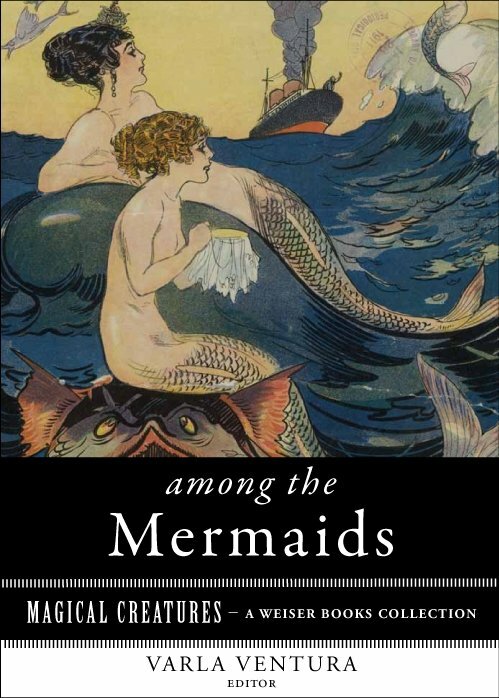 And watch here for more details on the forthcoming new book on mermaids–a real print book!! If I pick your story you’ll be notified and receive a signed copy of the book when it comes out in the Spring of 2013. This entry was tagged drowning, Folklore, irish, magical creatures, mermaids, sea creatures, shanties. Bookmark the permalink. Hi, I’m a Woppaburra desecent, (Aboriginal Australian). Our great aunt, told us, that her great uncle told her that on our Island (Nth keppel, Queensland) , they use to meet with mermaids, at a secret place, and they would give us gifts of pearls. One of our dreaming stories. I Believe in them. Love to read your book. I would love to include you story in the forthcoming mermaid book. I’ll contact you via email, or you can contact me if you see this first!